Once upon a time people said that the Balkans were the “powder-keg of Europe”. Indeed, history is full of sudden burst of the strong Balkan passions. But wars are left in the past. 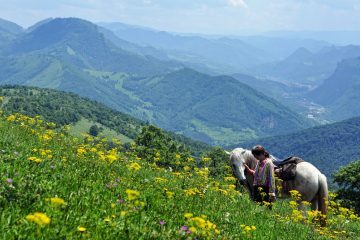 We can now only enjoy the beautiful features of the sunny face of the Balkans – beautiful and preserved nature, old monasteries, cozy towns – a different and slightly old-fashioned Europe. 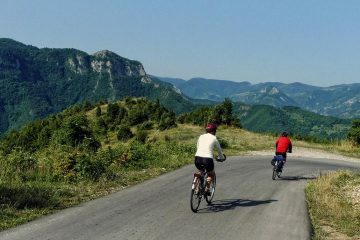 We offer you to tour together several countries and see the most interesting places in each of them – Serbia, Bosnia and Herzegovina, Croatia, Montenegro, Kosovo, Albania and Macedonia – all alike but at the same time very different in their own way. This is the place, where Europe meets the Orient, where Christians and Muslims have lived together for centuries, where old traditions coexist with the rhythm of XXI century. Private airport transfers to/from your scheduled hotel are included in tour price on the arrival and departure days, as set in the program (Day 1 and Day 14 respectively), no matter of the time of arrival at Sofia Airport. Transfers outside the tour itinerary are paid separately. During the trip you will be accompanied by a tour leader representing Penguin Travel, who is responsible for the logistics of the tour – updating you on the daily itinerary, arranging your passport checks at the border-crossings, handling the check-ins at each hotel, driving/communicating with the driver and arranging the local guides as scheduled in the program. Detailed information about the countries and the sites that you will visit during the tour will be presented in a booklet that is going to be provided to you at the beginning of the tour and will be further explained by the local guides, included in the program. The size of the vehicle of the tour depends on the size of the group – for groups of up to 8 people you will travel in a minibus (8+1) with the tour leader being also the driver; for groups larger than 8 pax your vehicle will be a bigger bus with a separate driver. Arrival in Sofia and transfer to your hotel. Free time to explore the Bulgarian capital. 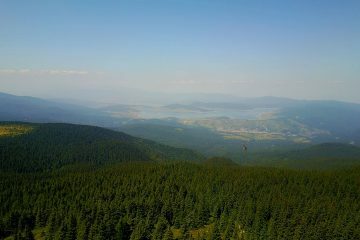 If you allow a couple of days in Sofia, here are our suggestions for day tours. Day 2. Sofia – Kruševac – Studenica (Serbia). Day 3. Studenica – Visegrad – Sarajevo (Serbia/Bosnia and Herzegovina). Day 4. Sarajevo (Bosnia and Herzegovina). A walking tour through the center of the Bosnian capital – Sarajevo, whose mosques and old Turkish bazaar with shops and cafes still keep the traditional oriental atmosphere of the region. Free time. Overnight. Day 5. 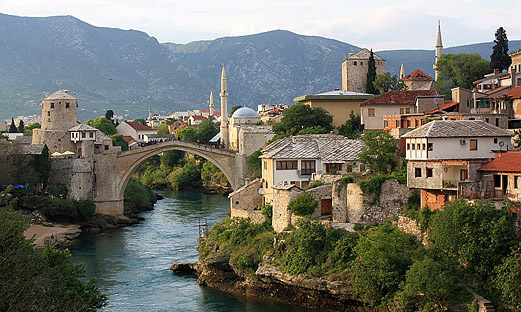 Sarajevo – Mostar – Trebinje – Dubrovnik (Bosnia and Herzegovina/Croatia). A walking tour in the historic part of the town – the Pile Gate and Stradun Street, the Franciscan Monastery, the Dominican church, the Sponza Palace, Rector’s Palace, “St. Blaise” cathedral. Free time. Overnight. Day 7. Dubrovnik – Herzeg Novi – Kotor (Croatia/Montenegro). Day 8. Kotor – Pec (Montenegro/Kosovo). Day 9. Pec – Prizren (Kosovo). Day 10. Prizren – Tirana (Kosovo/Albania). Day 11. Tirana – Ohrid (Albania/Macedonia). Day 12. Ohrid – Skopje (Macedonia).